How to draft a proper Residential Lease Agreement? 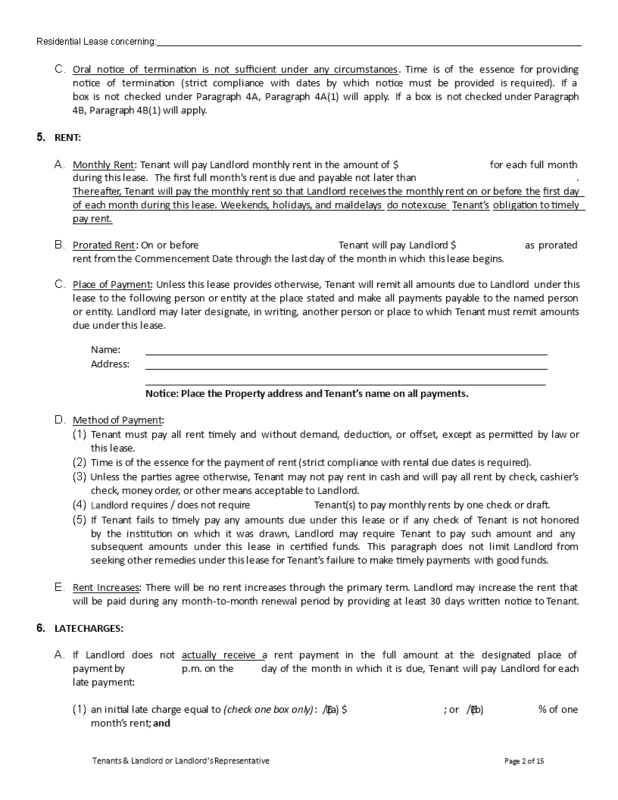 Download this Residential Lease Agreement template that will perfectly suit your needs! Legal communication is essential to ensure truthful, accurate information exchange and enable morally-correct decision making. This is important to give consideration on how to communicate and how to remain lawful in your day-to-day activities. Therefore, communication in situations that involve legal complications, request extra attention. Using our easy-to-modify Residential Lease Agreement helps if you are about to sign a residential lease agreement as a tenant or landlord. This Residential Lease Agreement template covers the most important subjects and will help you to structure and communicate in a professional and legal way with those involved. (p) any other unpaid charges or fees or other items for which Tenant is responsible under this lease. Download this professional legal Residential Lease Agreement template now and save yourself time, efforts and possibly reduce the lawyer-fees in order to become more successful. Also interested in other Legal templates? AllBusinessTemplates is the #1 source for Legal templates! Just search on our website and have instant access to thousands of free and premium legal agreements, contract, documents, forms, letters, etc used on a daily basis by professionals in your industry. For example Real estate forms, Employment forms, General release bank account, Power of attorney, Joint Venture Agreement, Letter of intent, Last will & testament, Secrecy Agreement, Articles of Incorporation of Company, Agreement with Accountant, Purchase contract, Agreement for permission to sublet and much more. All business templates are easy to find, crafted by professionals, ready to use, easy to customize and intuitive. Pay close attention to the available legal template by browsing through the list. Take the time to review and choose the variety of legal templates to suits your needs.